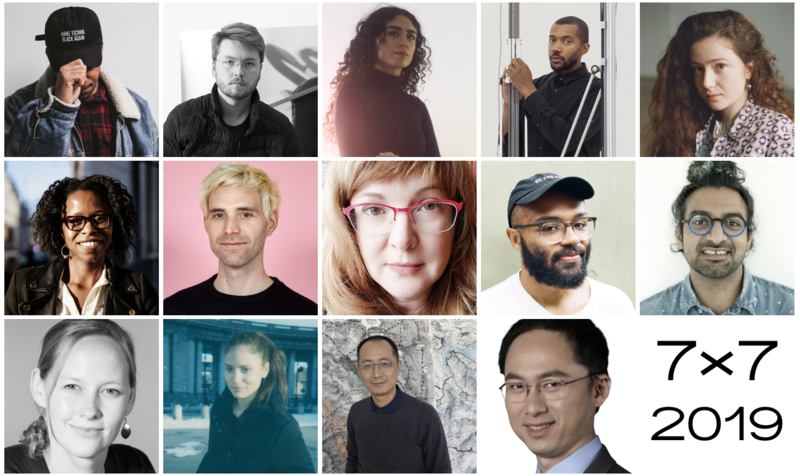 We’re thrilled to announce the 2019 edition of the celebrated art and technology platform Seven on Seven. This annual event brings together leaders in art and technology for a one-day creative collaboration with a simple challenge: “Make something.” On Saturday, April 27, seven collaborative pairs will reveal their projects at the New Museum. Tickets to the conference are on sale today at Eventbrite. Co-organized by Michael Connor, Artistic Director; Zachary Kaplan, Executive Director; and Aria Dean, Assistant Curator, this year’s Seven on Seven brings together a cohort of artists and technologists whose projects will explore a diverse array of topics across culture and technology: the aesthetics of high-frequency trading; how insects and robotics can echo one another; AI and the school-to-prison pipeline; languages of the deep future; and more. This year’s conference will premiere a new, lower conference ticket price of $99. (A limited number of $40 artist tickets are also available by lottery. Please submit your information here.) A simulcast presentation of the event will be presented in the New Museum’s Sky Room, free for Museum visitors. To further share Seven on Seven, we’re again collaborating with a team at Wieden+Kennedy, New York, led by Richard Turley, Executive Creative Director, to create a “distributed publication,” composed of pamphlets, posters, and other print ephemera. Deutsche Bank Americas Foundation will also support a youth outreach program that will bring an art-and-technology residency project to Queens this summer, renewing a program inaugurated in 2017. Seven on Seven is made possible by the generous support of Deutsche Bank Americas Foundation, founding partner Wieden+Kennedy, New York, and GIPHY. Sister City is Seven on Seven's exclusive hotel and after party partner.